To the keen MBA student specializing in marketing as well as its ardent practitioner, this book blends practical insights with theoretical frameworks. Marketing to India’s diverse and rapidly changing consumers requires constant refreshment of knowledge and skills. To the keen MBA student specializing in marketing as well as its ardent practitioner, this book blends practical insights with theoretical frameworks. 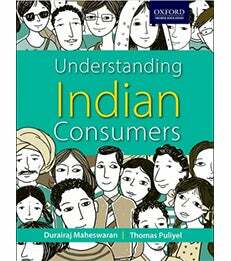 Understanding Indian Consumers, co-authored by Professor Durairaj Maheswaran, is a compilation of 20 articles from among some of the best minds in academia and business. So whether you are looking for insights and strategies to market to rural consumers, youth or women; or if the task is to address the luxury consumer or study the emergent trends in advertising or digital communications; this is the book to pick up. Professor Durairaj Maheswaran is interviewed about his co-authored book, "Understanding Indian Consumers"